Also purchased by Grand Central Art Galleries, NYC, for their 1948 Founder's Day show. "Painted April 1947. My little window again, back of the easel again, painted in the spring but with snow on the landscape and decking the apple trees. 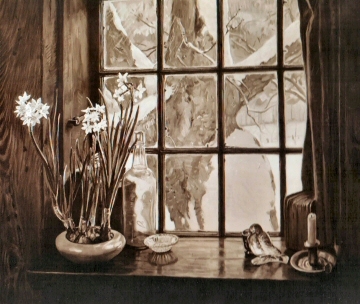 The big studio apple tree trunk very prominent in the center of the window outside with a snow blanket on it. 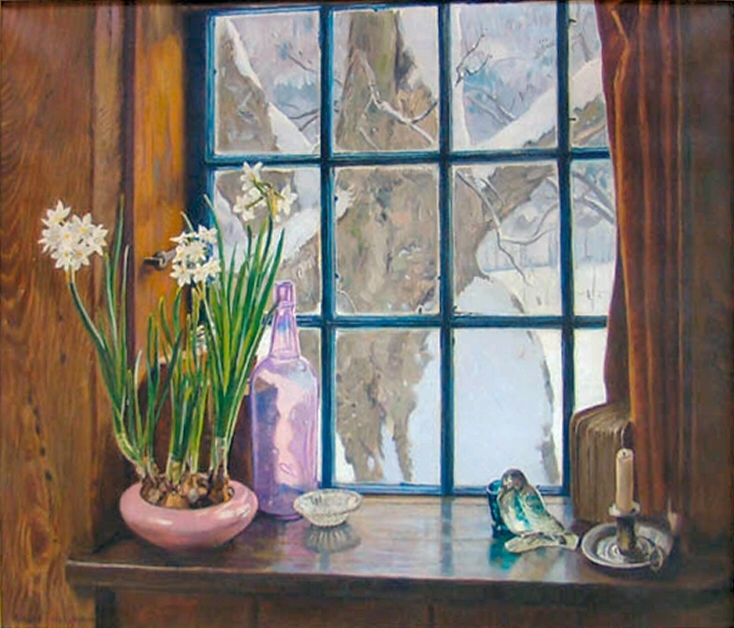 A paper white narcissus in a pinky lavender bowl at the left of the window sill with books, the lavender bottle, and little glass dish. At the right an open book, low candlestick, small dark green glass and glass bird. A much admired canvas. Rec'd 2nd prize by popular vote at Deerfield Valley Art Assoc. in Old Deerfield, 1947. 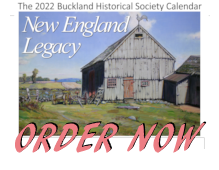 Sold in April 1948, to the Grand Central Art Galleries of New York for their 1948 Founders Show, in the fall, to a Mr. Ewald of Detroit, Michigan." 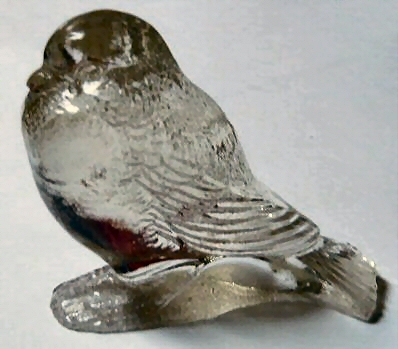 The glass bird is still in the studio of the artist.